Galveston Island and Coast "Island Life"
Galveston Island, on the Gulf Coast less than an hour south of Houston, is much more than just a resort town. The small city has a long history to match its rich beauty and charm—it has been the home of buccaneers and tycoons and was once called the “Wall Street of the South” because of the wealth and prosperity the city garnered as the nation’s second most prosperous port. With architectural examples from every era since Galveston’s inception in the 1820s, the homes, mansions and commercial buildings on the East End preserve the island’s past and present as a cultural center of the Gulf Coast. Organizations like the Galveston Historical Foundation work tirelessly with the city and local residents to ensure these buildings are protected, while also maintaining several mansions open to public viewing. Visitors can explore the original rooms, furnishings and artifacts of several grand estates, like the Bishop’s Palace and Moody Mansion. On the island’s West End, the homes take to the skies, perched safely on a solid footing of beams and pilings. For those who elect to call these wonderful beachfront and waterfront properties their homes, the sand and sea are never more than a few steps away, and the lifestyle is one that can be hard to describe: equally relaxing, inspiring and exhilarating. A strong connection to nature features prominently in Galveston, with views of the beach and bays, endless preserved marshlands, clear skies and open space. The Gulf of Mexico creates miles of clean, uncrowded public beaches with warm, gentle tides. Outdoor sportsmen and sportswomen will find the island to be a paradise, featuring some of the best birding in the country, as well as excellent fishing and other recreational pursuits. Drs. Meredith and Todd Masel come from different places but share a love for their family life in Galveston. Just behind the shoreline stands Galveston’s famous Seawall, a protective wall that also acts as the island’s main boulevard and promenade. With shops, restaurants and a large, accommodating sidewalk that runs a hefty length of the beach, the Seawall is a place to run, bike or simply relax and enjoy the Island’s unrivaled Gulf views. At 25th St. and the Seawall, Galveston’s Pleasure Pier extends 1,130 feet out over the Gulf of Mexico. The large park has multiple shops, game booths and rides, including a neon-lit Ferris wheel and coasters. On the bay, the three pyramids of Moody Gardens punctuate the skyline. Here, guests can walk through a tropical rainforest, experience various IMAX films and explore a large aquarium. Though the Gulf waters are easily Galveston’s most recognizable feature, the island has much more to offer to local residents and visitors. Downtown, the Strand and nearby streets are filled with wonderful shops and cafes, live music and several annual events unique to the Island. In December, the island hosts Dickens on the Strand, a weekend-long holiday festival that revisits the tales of Charles Dickens and the charm of England’s Victorian Era. Mardi Gras Galveston!, Texas’ largest Mardi Gras celebration, brings grand parades, great bands and tons of visitors food and fun for two weeks in February. Throughout the year, the Strand sees several other large events like the Yaga’s Wild Game BBQ Cookoff, the Lone Star Biker Rally, Oktoberfest and the multi-week Art Walk. Downtown is also the epicenter for the arts in Galveston. The Grand 1894 Opera House, a fully-restored theater that is listed on the National Register for Historic Places, hosts several A-list performances throughout its season. Just blocks away, the East End Theater Company, the county’s only professional repertory theater company, runs a several-show season each year with outstanding local actors and producers. Throughout downtown, several art galleries display the talents of local artists. From oil paintings to wood sculpture to mixed media creations, the island art scene is thriving through the visions of creators, many of whom have relocated to island to draw inspiration from its inherent beauty. With its rich history, natural assets, unrivaled beauty and distinctive culture, Galveston Island is an extraordinary place to call home. The community is founded on a collective appreciation for its individuality and a sense of hospitality fills every aspect of life on the island. Hear a little more about life in Galveston from the Masels and Tim Schilling. While Texas has great schools, large and small, locals love to share what makes Galveston ISD special. They speak about the best of both worlds: a first-class education with highly qualified, caring staff members and a community environment with an "everyone knows your name" atmosphere. Galveston Independent School District (GISD) is very proud and appreciative of the support its parents and community have given throughout the years. Students and staff enjoy an excellent learning environment, both in the classroom and through extra-curricular activities. 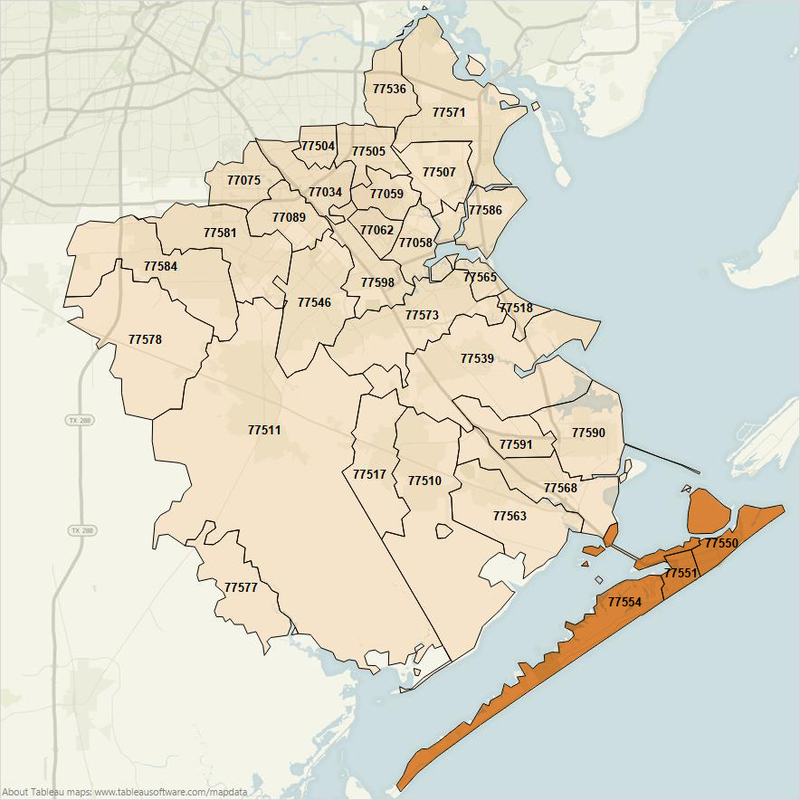 Galveston Island and the adjacent coastal areas offer a wide variety of home and housing choices. Check the resources below for current information, including current listings for home sales and rentals, for this region. Please read our disclaimer about the links below, and visit our links page for additional information and tools related to relocation. Clear Lake and SW Houston "Best of Both Worlds"
I-45 Corridor Communities "Great American Towns"
Other Regions in Texas "Piney Woods to Texas Prairies"